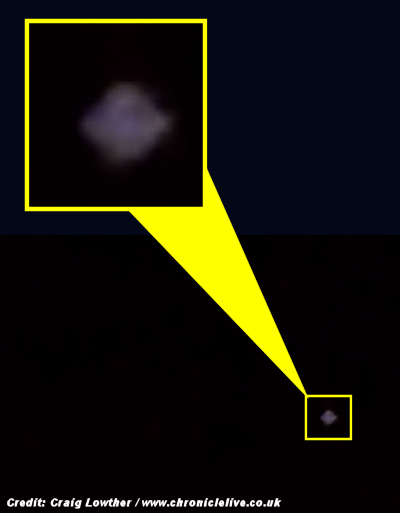 A ‘UFO’ has been captured on video, apparently hovering in the North East sky. Craig Lowther, a 43-year-old venture capitalist from Tynemouth, North Tyneside, said he was letting his dog into the garden at around 11.30pm on Monday when he saw the strange object. And he managed the capture it on film. . . .
. . . “I used the zoom so I could get a better look, and what I saw surprised me. “It appeared to be a dome with a bulge in the middle and it had pulsating lights on it." the shape is very similar to that seen by capt. jinji terauchi of jap airlines on his flight over anchorage.